NG Rigging has erected multiple types of monopoles and lattice towers throughout the UK for a number of 3rd party and network operators. With a "can do" attitude and "outside the box" thinking NG Rigging continually complete projects where other companies have said it cannot be done. NG Rigging installs varied types of steelwork on rooftops, towers and masts at heights up to and in some cases exceeding 300m agl. Working for the some of the UKs major site owners and network operators NG Rigging undertake painting at height contracts on a number of types of structure including rooftops, towers, masts and Radar domes. Fall arrest systems installed and tested by NG Rigging are used in every conceivable area of industry covering towers, bridges and other structures. NG Rigging are one of the UK's premier rigging and working at height companies. 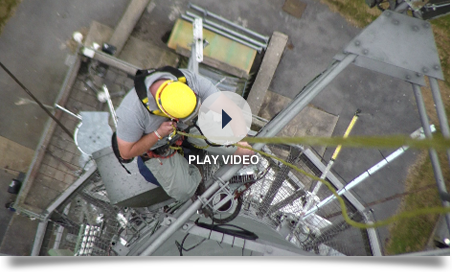 NG Rigging operate across the UK carrying out specialist projects with highly skilled teams for the telecommunications industry. NG Rigging has an ISO 9001:2008 certified Quality Management System.